When you buy a cruise ticket, you are paying for a stateroom on the ship. Your food, entertainment, transportation, port charges, and other activities are all included in the cost of the stateroom. The price is based on double occupancy, assuming that at least two people will be sharing the cabin. If you chose to travel alone, you will most likely pay 200% of the per person cruise fare. Compare a one week cruise against a week at a resort. With a cruise, your meals, accommodations, entertainment, and most activities are included in the fare. You can visit several different ports of call. Once you unpack you can relax and enjoy the trip. You can stay busy all day running from one activity to the next or find a cozy spot, settle in and read a great book. At the end of the day you can enjoy world class dining and entertainment, and then feel like you are being rocked to sleep with the gentle movement of the sea. What is Included in the Cost of a Cruise Ticket? The price includes your cabin accommodations, dining on board, entertainment, and ship activities. Transfers to and from the ship are not included unless you request that they be added. Shore excursions, alcoholic beverages, soft drinks and gratuities are also additional unless otherwise noted. What Form of Identification do I Need? Citizens of the U.S.A. and Canada need proof of citizenship. This includes a valid passport or a certified state or county issued birth certificate with a state or government issued photo ID. Make sure and confirm with us which type of identification you need for the type of cruise you are booked on. A Closed Loop cruise allows the use of a birth certificate, while all other cruises require a passport. A Closed Loop cruise is a cruise that departs and returns to the same port in the United States. Hospital issued birth certificates are not legal documents. They are keepsakes and are not to be confused with a certified state or county issued certificate. YOU WILL BE DENIED BOARDING WITHOUT THE PROPER DOCUMENTATION!! 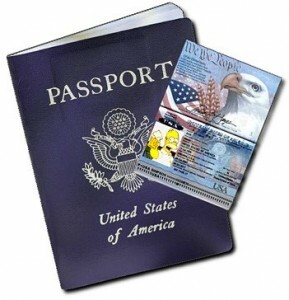 All non-U.S. passengers require a valid passport and an unexpired U.S. Multiple Re-Entry visa. Passengers who can apply for admission under the Visa Waiver pilot program are required to carry a valid, unexpired passport. You will need proper travel documentation before, during, and at the end of the cruise. You will not be allowed to board the vessel without proper identification. All non-U.S. guests will be asked to surrender their passports and/or resident alien cards at embarkation. These documents will be returned the morning of arrival back in the U.S.
Today’s cruise ships are engineered with state-of-the-art stabilizers that greatly reduce ship motion. If seasickness is a concern, choose a cabin towards the center (from top to bottom and front to back) of the ship where ship movement is less pronounced. You can also consult your doctor about medications to take in case of motion sickness. What Are the Best Seasickness Remedies? Seasickness is generally easier to prevent than to cure. Most remedies need to be taken a couple of hours before your cruise ship sails. Different remedies work better for different people, and you may need to try a few to determine which is best for you. Remember to check with your doctor to make sure that any remedy does not conflict with medication you are currently taking-prescription or over-the-counter. Dramamine and Bonine are the most common seasickness drug remedies. These two drugs are available over-the-counter at most drug stores and pharmacies. They are basically antihistamines, and make many people drowsy. Both Dramamine and Bonine are available in non-drowsy formulas. Scopolamine patches, worn behind the ear like a tiny band-aid, are the most common prescription drugs for seasickness. Scopolamine also comes in pill form. The patches last up to three days, provide time-release doses of the drug, and are usually very effective for preventing nausea. Ginger is the most common herbal remedy for seasickness. Remember how your mom used to make you drink ginger ale when you were a sick child? Unfortunately, many ginger ales on the market today do not contain “real” ginger. Most people take ginger in capsules form, and they are available at health food stores. The side effects of ginger are less than those of drugs, but sometimes cause heartburn or an aftertaste. Although there is some evidence that ginger helps seasickness, it may not be as effective as a drug remedy. Wrist bands provide a type of acupressure for the relief of seasickness. There is a point about an inch and a half above your wrist on the underside of the arm where the wrist band applies pressure. Many people swear by the wrist bands and they sell in large numbers. Do You Think I Will Be Bored? Not a chance, unless you want to be. How would you like to see Broadway-style shows, do some shopping, work out at the gym, relax at the spa, take a dip in the pool, attend an art exhibit, learn about wine at a wine tasting, attend a game show, log onto the Internet, go ice skating, rock climbing, practice your golf swing, shoot a few hoops, or go to the casino? These are all activities offered on many of the ships! Every ship has a Cruise Director whose only responsibility is to make sure the guests are having fun. Almost every single person we book on a cruise comes back wanting to book another longer cruise. Most people spend very little time in their stateroom. There is so much to do that you are usually busy exploring the ship, or trying to decide on what activities you want to participate in for the day. The cabins are all basically the same size whether they are interior or ocean view. If you need a little more space, you might want to choose a balcony cabin or a mini-suite. You definitely won’t feel confined! If you are really concerned about it, consider a shorter three or a four day cruise. And remember, most cruises offer several ports of call which provides several opportunities to get off the ship for the day. Every port offers dozens of excursions for you to choose from. Activities are offered for all age groups. Whether it is zip lining through the rain forest, a scenic sight seeing tour, scuba diving, snorkeling, rafting, climbing a waterfall, exploring ancient ruins, swimming with sting rays, you are sure to have a great time. There are so many excursions offered that you will have a hard time choosing! If you don’t want to go on a guided tour, you can go off on your own. On a cruise, it is all up to you. It is a great way to see new places and experience new cultures. Will My Kids Enjoy a Cruise? Most cruise lines provide special youth programs, facilities, and activities based on different age groups. Your kids will have tons to do and often travel at a reduced rate. Princess Cruises’ Youth and Teen Centers include various games tables, movie rooms, and all the latest video games. Many ships have play areas for toddlers. For teens, there are special entertainment hideouts called “Cyberspace” and “The Fast Lane.” The friendly staff coordinates and supervises a variety of activities including karaoke, movie fest, theme parties, and more. Royal Caribbean International caters to family cruising by offering special suites that sleep up to six people. Young cruisers are divided into “Aquanauts” (ages 3 – 5), “Explorers” (ages 6 – 8), “Voyagers” (ages 9 – 12) and “Navigators” (ages 13 – 17). The daily “Compass” itineraries are delivered at night to the door of each child and teen, highlighting the next day’s events and activities. There is plenty to do at night. Live entertainment with discos and lounges offering every type of music and dancing you can imagine, feature films, karaoke, Broadway style shows, comedians, magicians . . . Most ships even have casinos. There are special events like the Captain’s Cocktail Party offering free cocktails and a chance to meet the ships captain and staff, Passenger Talent Night and the Late Night Buffet (just in case you are still hungry). The night can go on until sunrise. Cruise vacations are casual during the day. It varies in the evening depending on the cruise line. Ask us about recommendations based on cruise line. You won’t need to rent a tuxedo just for a cruise. Even on the most formal ships, a dark suit and tie are fine. Most ships have 110-volt outlets in the staterooms. A general standard is to plan for about $12 per person, per day for your room steward, dining room waiter, and the assistant waiter. A 15% service charge is generally added to all bar receipts. Some cruise lines include tipping in the price. With most cruise lines, if their service exceeds or fails to meet your expectations, you are free to adjust this amount at the end of the cruise. Carnival Cruise Line: A Service Charge of $11.50 per person is added to your stateroom charges each day. Holland America Line: A Service Charge of $12 per passenger is automatically added to each guest’s shipboard account on a daily basis. Norwegian Cruise Line: Norwegian automatically applies a $12 per person gratuity to your shipboard account or $6 for children aged 3 to 12. Princess Cruises: Princess automatically applies a $12 per person gratuity to your shipboard account. Royal Caribbean International/ Celebrity Cruises: RCCL automatically applies $12.50 per person to your shipboard account.